Sterope 3® grating panels are the stronger version for the classical Sterope® style manufactured with a 63/64″ x 1/8″ bearing bar, matches elegance and aesthetic with solidity and transparency. These characteristics are ensured by the rectangular mesh that makes it an extremely versatile product. 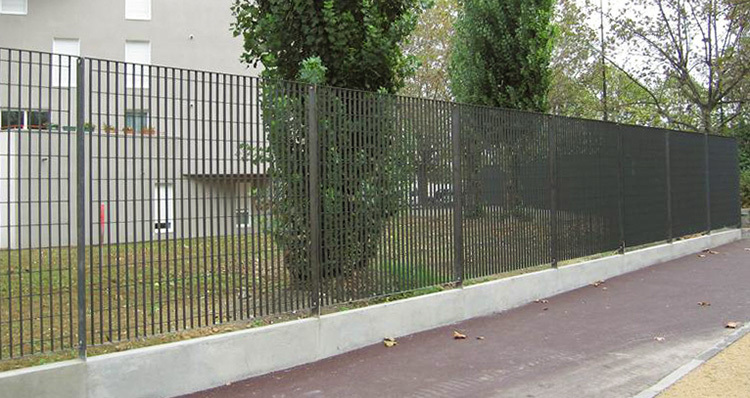 Sterope 3® fencing panels can be combined with two different types of posts, a classic flat bar or an Orsogril® exclusive squeezed round tube post. Thanks to the Orsogril® new materials careful research, is now also available in the range COR-TEN STEEL Sterope® Live, able to give the project a warm chromatic mutation at free-maintenance costs. Colors: RAL 6005 green, other RAL colors available on demand. 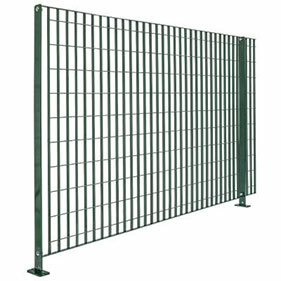 Sterope 3® grating panels are electro-welded mesh fencing that consists of modular monolithic panels, not joined nor welded side by side, with a height of … inch, width 6′-6 27/64″, mesh size 2 7/16″ x 5 13/64″ with 63/64″ x 1/8″ vertical flat bars (center distance 2 7/16″) and 11/64″ diameter horizontal round bars (center distance 5 13/64″). The 63/64″ x 5/32″ flat bar horizontal frame elements, are bent for a length of 1 37/64″, slot drilled 15/32″ x 5/32″ at the ends and are electro-welded to the vertical flat bars by fusion without additional material. Post center distance is 6′-6 47/64″. Discover for yourself why so many companies in industries such as petrochemical, transportation and construction have made Marco Specialty Steel their one-stop source for all their Sterope 3® Grating Panels needs. 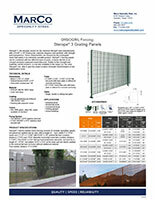 Contact us to learn more about our Sterope 3 fence product offerings today. And be sure to let us known about your specific customization requirements.